When you’re trying to figure out if you can afford to have a baby, the costs can seem overwhelming. Baby stuff is expensive, pay for parental leave is limited, and UK childcare is costly. Most parents say that if they’d waited until they could comfortably afford it, they’d never have had their children, so at some point they just took the plunge. But it’s still a good idea to work through the financials first and to see how everything may add up. Our guide should give you a good start. When you take time off work, what money are you entitled to? All employed women are entitled to statutory maternity leave of up to 52 weeks. As long as you’ve worked for your employer for 26 weeks (just over six months) by the time you’re 15 weeks from your due date, you should also be entitled to statutory maternity pay. Most women get 90% of their pre-tax average weekly earnings for the first six weeks, and then £139.58 a week for the next 33 weeks. This is only the legal minimum, though: some employers offer more generous maternity pay packages. If you’re not entitled to statutory maternity pay - for example if you’re self-employed - you may be eligible for maternity allowance. The full amount of maternity allowance is £139.58 per week for 39 weeks, but to receive it you must have been working and paying National Insurance contributions for a certain amount of time before your baby is due. Your partner can get statutory paternity pay of up to £139.58 a week, but only for a maximum of two weeks. 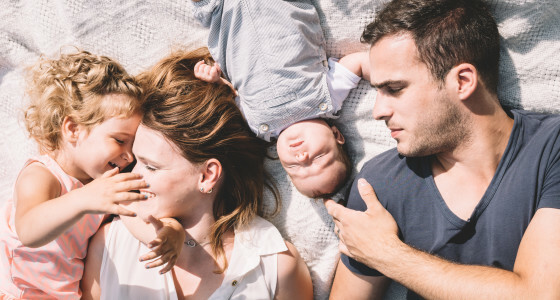 Alternatively, if you meet the shared parental leave eligibility criteria, the mother can share her maternity leave with her partner, which means either parent can receive up to £139.58 a week of statutory parental pay. Use the government’s parental leave calculator to check what your household could receive. Also, bear in mind that pregnant women can take paid time off work for antenatal appointments and are entitled to free NHS dental care and free prescriptions during pregnancy and after the baby’s born. Plus, if you receive certain benefits you can get the Sure Start Maternity Grant, which is a one-off £500 payment. Once your baby is born you can get Child Benefit of £20.70 per week if it’s your first child, although if you or your partner earns more than £50,000 annually you’ll be subject to a tax charge so you may choose not to claim it. Either way, fill in the Child Benefit forms to protect your National Insurance record. How much will baby stuff set you back? You’ll need some cash to prepare for your new arrival. Purchases range from big things like a pram and a cot, to smaller things like nappies, blankets and newborn babygrows. On average parents spend £1,000 preparing for their first child according to a recent survey, while the average expenditure for the first 12 months of a baby’s life is just over £9,000. On average parents spend £1,000 preparing for their first child. However, you can really cut down these costs and prepare for your baby on a shoestring if necessary. Many newborn items are only used for a very short amount of time, so getting second-hand bits - from NCT nearly-new sales and from friends and family, for example - can be a really good option. Check out our article on financial planning for your first baby for more tips. It can be tricky to manage on statutory maternity pay, but what about once parental leave is over? Many parents are then faced with the difficult decision of whether to both return to work and fork out for childcare, or for one parent to stay at home and for the household to sacrifice an income. Of course there are many factors when it comes to making this decision, but these are some of the financial aspects. The typical weekly cost for a full-time day nursery place for a child under two is about £217, or around £302 a week in London. It’s worth exploring the help that’s available from the government and from employers though, which includes 570 hours of free childcare when your child reaches the age of three. Once you’ve been out of work it can be difficult to reenter the workforce, so the income hit could be long-term as well as short-term. It’s still more likely to be the mother that stays at home, and a recent study by the Institute for Fiscal Studies (IFS) found that by the 12th year after having their first child, women are being paid an average of 33% less than their male counterparts. There may be other financial implications too: our pension gap research showed that when women reach their mid-thirties, the gap between women’s and men’s pension pots begins to grow. You may be able to find a way to keep working but avoid paying full-time childcare costs. All employees have the legal right to request flexible working, which could mean working from home, job sharing, working part-time or flexitime. Employers are obliged to consider your application. Alternatively, maybe you’re in a position to ask family to help with childcare, or to share childcare with local friends with children. If you’re thinking about having a baby, it’s a good idea to sit down and make a budget so that you’ve got a good picture of your income and outgoings. You can then figure out where you can trim your spending to make room in your finances: could you cancel a little-used gym membership, for example, or switch to a lower-cost satellite TV package? Try our financial planning guide for more help. If you can save some money, this will be a reassuring cushion for when the baby comes, and may mean you can take more time off before you go back to work. A dedicated savings account and a monthly saving target may be helpful. 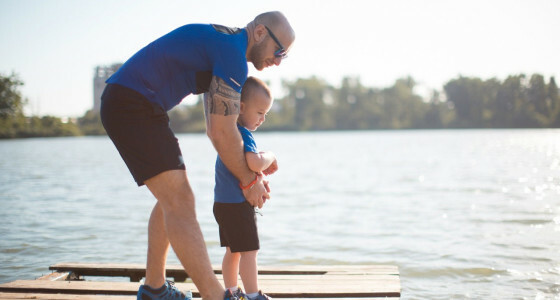 Even if having a child is a while off, any savings you can begin building up now could be invaluable when the time comes. But although some financial planning is prudent and it’s a good idea to think through the financial implications of having a baby, try not to let money worries overwhelm you. Remember that most people feel like they can’t afford to have a child, but also that most parents find a way to make it work. In your 30s? Find out if you’re making any of these common pension mistakes.